Fort Wayne, New Haven, Leo-Cedarville, Monroeville and Allen County and its other Municipalities celebrated the completion of the 100th mile of multipurpose trail in our community in late 2017. This is an extraordinary accomplishment and has been possible through the work of countless individuals for the past forty-four years. Citizen advocacy, forward-thinking parks staff, and elected officials have together created a trail system that is a vital part of our existence in Fort Wayne. 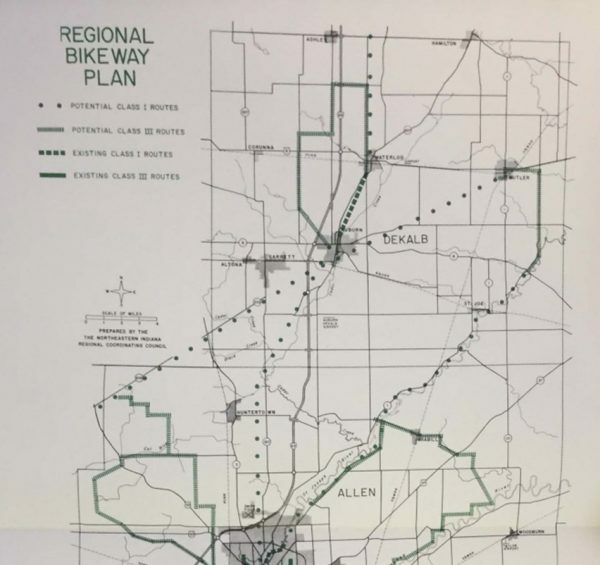 The 1974 Fort Wayne Park Master Plan Phase I included the first formal mention of proposed trails for our community, with a goal of creating 17 miles of bicycle trail through the city’s parks and along its river banks. Park planner Angie Derheimer O’Neill was the primary author of this plan, and she worked closely with citizen advocates and the Fort Wayne Board of Park Commissioners and park staff to create the document. She recalled that a citizen advisory committee helped with the plan which included News-Sentinel editor Ernie Williams, neighborhood representative Bob Wire (father of Dan Wire), Rob Shoaff, and Bob Bloch from ACRES and Isaak Walton League. 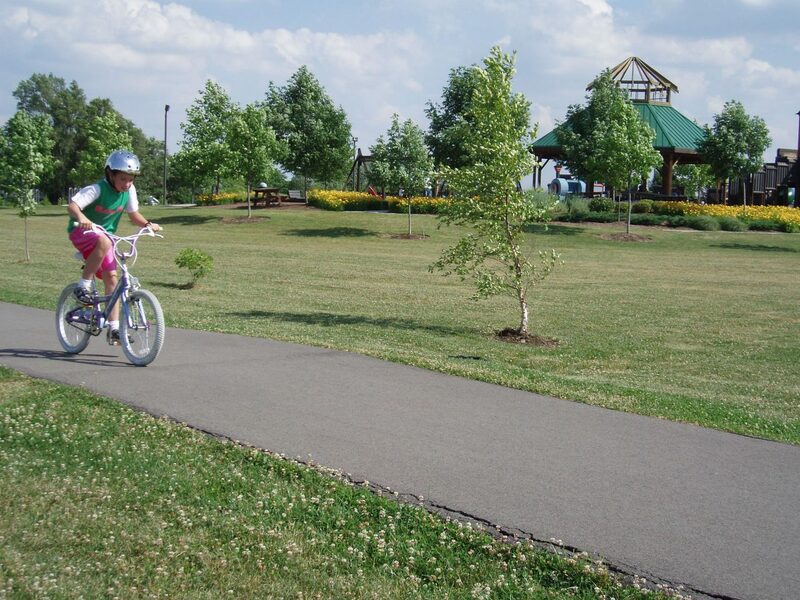 1975 – The Foster Park Bicycle Path was completed. This was our community’s first paved, multipurpose trail. 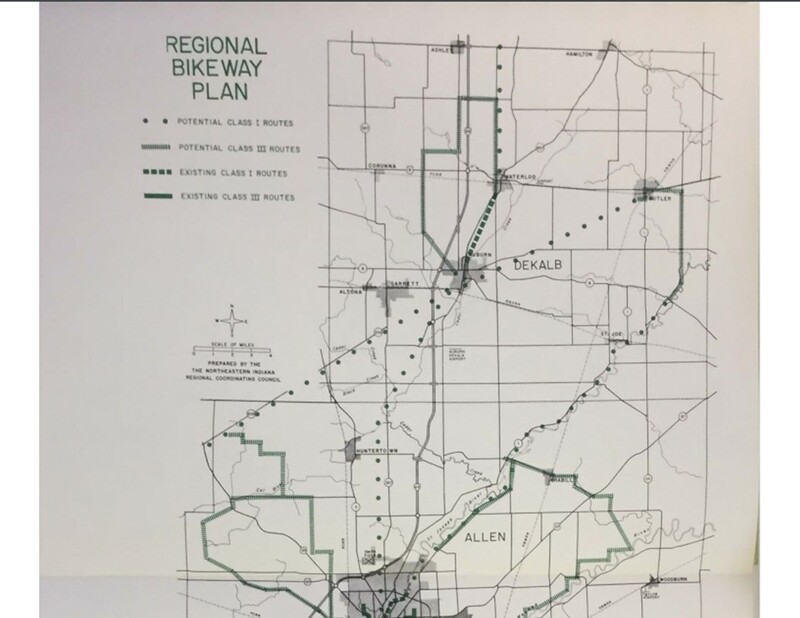 1976 – The Northeast Indiana Regional Coordinating Council prepared a Bicycle Plan for northeast Indiana, and identifies the route of the future Pufferbelly Trail as a Type 1 Bicycle Route (protected from vehicles). 1978 – The Rivergreenway Consortium is formed, made up of citizen advocates and government agency representatives, led by News-Sentinel editor Ernie Williams. Mr. Williams described the group as: “The Consortium has a diverse membership from the private and public sectors, including environmentalist groups, Sandbag Coalition, neighborhood associations whose boundaries border the rivers, the Indiana Canal Society, odd folks just interested in the rivers, and representatives of the city and county park boards, city and county plan departments and the surveyors office.” Stockbridge Audubon Society, ACRES Land Trust, Isaak Walton League of America, and local garden clubs were among the environmental groups who participate. Early 1980s – Through lobbying efforts of citizens, and both Fort Wayne and Allen County Park boards and staff, the community received $1,000,000 from the State of Indiana to begin purchasing land for Rivergreenway projects. 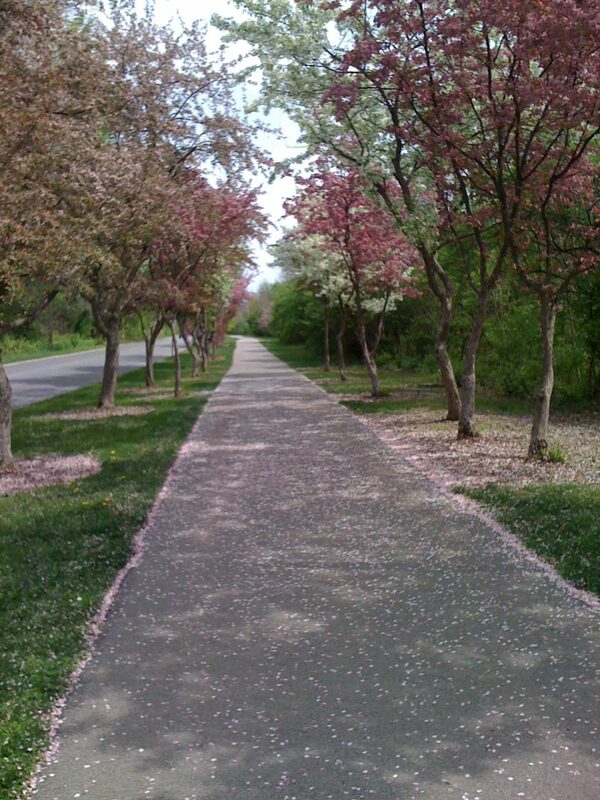 1984 – 8 miles of Rivergreenway had been completed, including the Foster Park to Tillman Park pathway and the Swinney Park to Johnny Appleseed Park pathway. The Allen County Park board successfully purchased the land for Metea Park along the Cedar Creek. Working with the citizen advocates of the Rivergreenway Consortium, both park departments create a county-line to county-line Rivergreenway Plan. This document setout the broad goals that would be accomplished over the next 33 years. During the 1990s, the US Army Corp of Engineers completed several flood control projects along the river bank. The Maumee River Basin Commission completed a widening of the river near Coliseum Boulevard. After these projects are completed, the Maumee Pathway was extended along the new dikes and modified river bank from the confluence to the North River Road boat launch. The St. Joseph River received new pathways along the east and west bank of the St. Joseph River to Parnell Avenue. The St. Marys Pathway was rebuilt near Sherman Street as the existing trail was modified by the new flood walls. 2000 – Northwest Allen Trails begins as a citizen advocacy group (incorporated as a nonprofit in 2004) focused on developing trails in northwest Fort Wayne and Huntertown. 2001 – 24 Miles of trails have been completed in the community as of 2001. 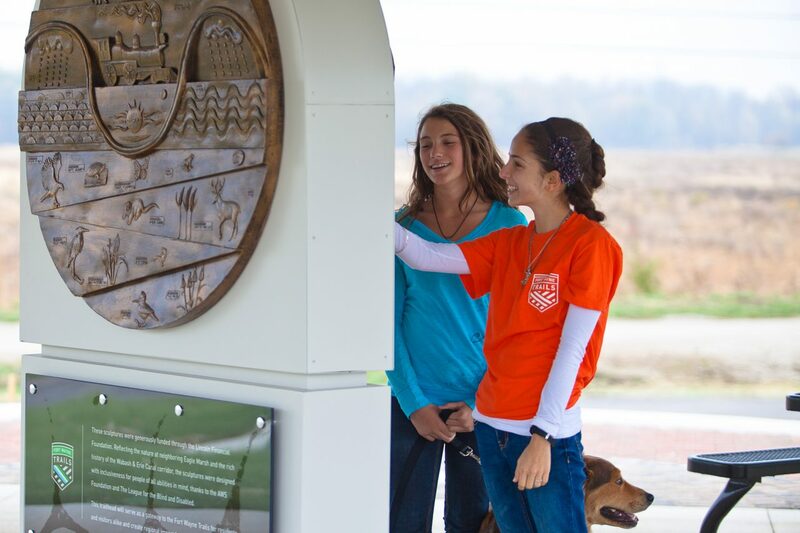 Aboite New Trails is organized as a citizen advocacy group (incorporated as a nonprofit in 2004) with a goal of building 50 miles of trails in Aboite Township, and hope to connect to the Fort Wayne system. 2002 – The Indian Trails Park Loop is begun by the Aboite Township Trustee. Fundraising for trails on Homestead, Aboite Center, Covington and more begins, and Aboite New Trails announces that they hope to raise $3 Million for trail projects in the suburban area. 2004 – The Greenway Consortium, Northwest Allen Trails and Aboite New Trails work together to lobby Mayor Graham Richard and the City Council for a paid Greenway Coordinator position. Jack Stark, a board member of the Greenway Consortium, volunteers to fill the position as a volunteer to prove the benefit and need for position and serves in the position until the beginning of January, 2005. 2004 – Northwest Allen Trails reports that they have received $300,000 grant to begin purchasing right-of-way for the New York Central Rail (formerly Fort Wayne-Jackson-Saginaw) for a trail project between Coldwater and Lima Roads. 2005 – Dawn Ritchie is hired as the Greenways Coordinator by the city of Fort Wayne. She works closely with the three advocacy groups as trail projects proceed. Lori Rose is hired as Executive Director of Aboite New Trails. 2007 – The Towpath Trail begins, and both Aboite New Trails and the Rivergreenway Consortium work together with city, county, Little River Wetlands Project, and Lutheran Hospital to build this trail that will connect the rapidly expanding Aboite Trails system to the existing Rivergreenway. 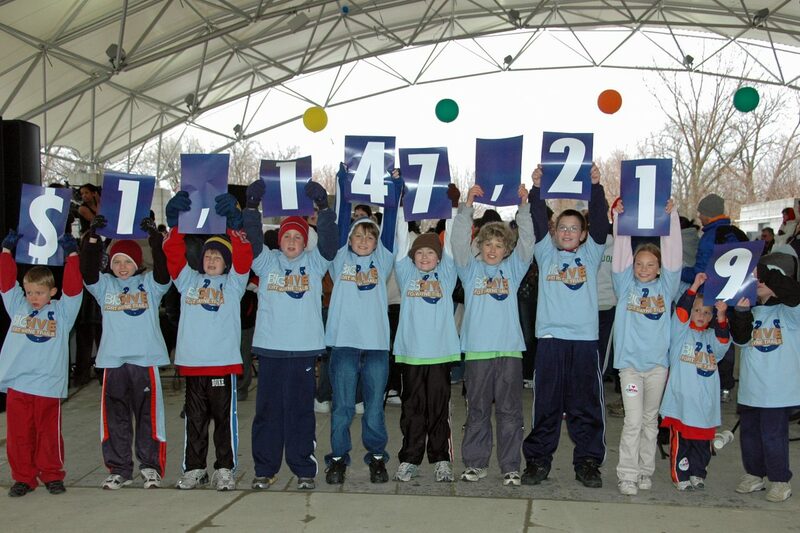 2008 – Oprah’s Big Give–Almost $1.2 Million is raised by citizen advocacy groups and the community for trail development. 2009 – The Rivergreenway (23 miles) is listed as a National Recreation Trail. 2010 – Construction on the Pufferbelly Trail begins, the segment from Parkview YMCA to Wallen is built, and planning continues for further development. 2011 – Aboite New Trails, Rivergreenway Consortium, and Northwest Allen Trails announce that they have merged to become Fort Wayne Trails. The new citizen advocacy group continues to raise funds and advocate for trail development throughout our communities in Allen County. 2012-2016 – Trail projects continue throughout the community, extending the Rivergreenway, Aboite Trails, New Haven trails, adding new connections to southeast and northeast neighborhoods, and extending into new areas. Additional Pufferbelly right of way purchasing is completed by Fort Wayne Trails and Allen County. 2016 – The Regional Development Authority provides funds, through a competitive application process, completed by Fort Wayne Trails and the City of Fort Wayne. 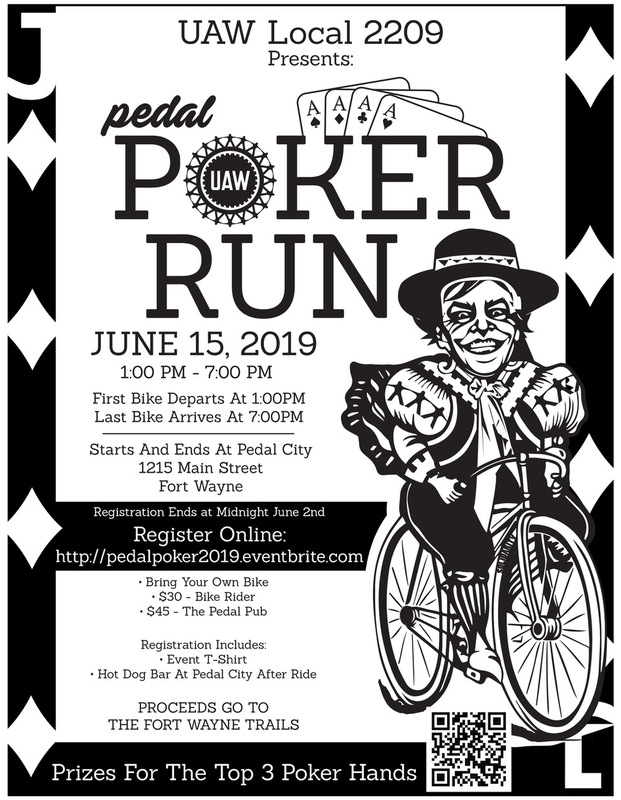 Funding is earmarked for sections of the regional trail to be known as the Poka-Bache Connector, and its Allen County portion known as the Pufferbelly Trail. 2017 – The 100th Mile of trail is completed in Allen County, and, perhaps appropriately, completes the original 1974 vision of a trail along the St. Joseph River to Shoaff Park. A portion of the Pufferbelly Trail is built shortly after, extending from Headwaters Park to Franke Park and Fernhill Drive—it also completes one of the 1974 goals. 2018 – Pufferbelly Trail segments funded by the Regional Development Authority are completed. 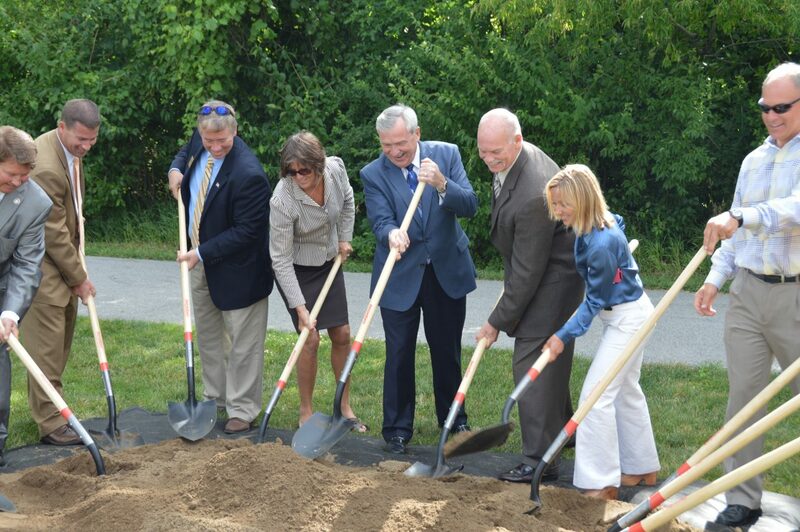 The City of Fort Wayne begins new trail projects along Lake Avenue, Dupont Road, and other areas throughout the city. New Haven continues to plan improvements to the Landin Trail, and plans further expansion of the 6-Mile Creek Trail. Fort Wayne Trails works with the City of Fort Wayne and funds the purchasing of right-of-way for the continuation of the Covington Trail east of Hadley, to Time Corners Shopping area. Fort Wayne Trails works with the Allen County Highway Department to secure and begin paving Pufferbelly Trail sections north of the city. 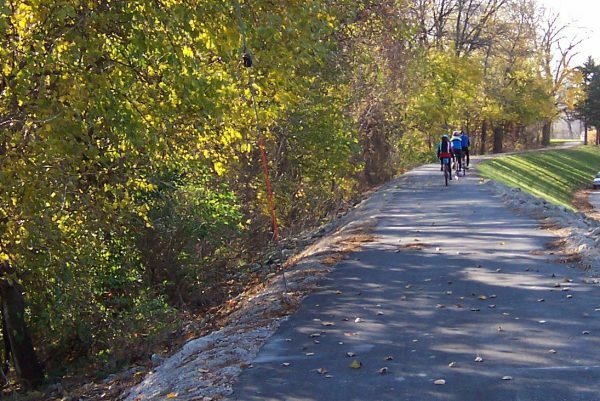 Fort Wayne Trails also works with New Allen Alliance to plan a trail that will connect the parks and communities of Cedar Creek Township, and assists with grant applications for funding.